Now that you’ve attracted qualified prospects to your brand, company, website, product or services, what do you do if they are not quite ready to buy now? The answer – engage them, the middle step in the inbound marketing process of attract – engage – convert. Engage your B2B prospects that are the middle of the buying cycle. The engagement step is the middle of the buying funnel, or MOFU (middle of funnel). Just as with TOFU (top of the funnel – attracting qualified prospects), it is imperative that you know your buyer’s persona. 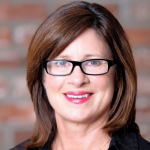 Develop your B2B buyer personas. What information or content would be valuable to them? How do they like to consume that content? What can you offer up? For example, if you sell to small business owners, they may like eBooks they can download and read on their iPads. If you sell to engineers and scientists, they may prefer how-to videos or whitepapers explaining new and important technology. Middle managers may appreciate tips on managing people and human resource news. Create drip campaigns to each buyer persona. Find a way to stay in front of your prospective buyers in a credible way. If they watched your video on a particular topic, invite them to your next webinar on that topic or suggest a related whitepaper. If they attended your webinar, follow-up with an email offering download of an eBook. Follow them or friend them on social media and engage with them there. More credible touch points lead to response compression (read my previous post on this), which makes you top of mind with prospective buyers. 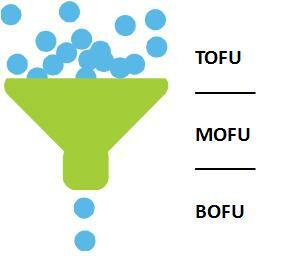 It’s then that you can get to BOFU – bottom of the funnel – where prospects convert to buyers.